Smith+Associates and our projects have been recognized in various news outlets both local and national. 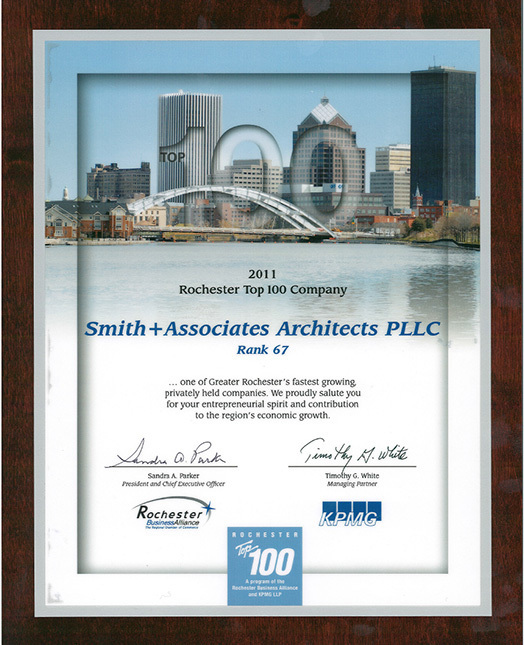 The effort and quality of our projects reflects in the numerous awards that we have received throughout the years, including being named to Rochester’s Top 100 list. We continue to strive to maintain a high level of excellence in our product.